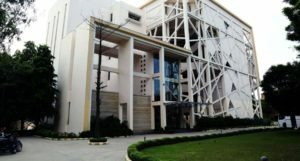 The Institute Of Management Technology, Ghaziabad (IMT) has been admitted to the membership of the Graduate Management Admission Council (GMAC). Members of the Council form a network of schools that are committed to maintaining and enhancing the quality of management education. The Institute Of Management Technology, Ghaziabad (IMT) has been admitted to the membership of the Graduate Management Admission Council (GMAC), a nonprofit organisation of 220 leading business schools that are actively committed to advancing the art and science of admissions. GMAC membership is by invitation only and at the discretion of the Council’s Board of Directors. Members of the Council form a network of schools that are committed to maintaining and enhancing the quality of management education and are open to the exchange of ideas and best practices to serve the collective interests of management education worldwide. Invited schools are required to complete a rigorous application process that addresses the school’s sustained commitments to supporting the GMAC mission by providing quality graduate management education, fair and ethical treatment of candidates and students, and serving the graduate management education community. IMT Ghaziabad has pledged to share class profile and graduation data to assist in the Council’s effort to identify the size and changing demands of graduate management education and thus adding value to the membership. Membership in the Council is school-based and is open to institutions that maintain a selective admissions process and offer a Master’s programme in business administration or management subjects or equivalent. In order to support the mission of the Council, member schools are expected to use, and ideally prefer, the GMAT exam or other GMAC assessment as a part of their admissions and enrollment processes for their graduate management programs. As a member of GMAC, Institute Of Management Technology will participate in Council governance including voting on Board elections and other matters that may come before the Council. The Graduate Management Admission Council was created in 1953 to address the issue of admissions standardisation. Nine leading business schools joined together for the purpose of creating an admissions assessment, which is known today as the Graduate Management Admission Test (GMAT). Over the years and with collaboration from its expanding membership base, the Council has established itself as a provider of world-class industry research and insights and a successful and respected global professional event organizer for the graduate management education community.